Herwig Zack was born in Frankfurt/Main. He started to play the violin at age 5 and studied with Karl-Albrecht Herrmann, Edith Peinemann and Max Rostal. Scholarships from the "Studienstiftung des deutschen Volkes" and from the "Rotary Foundation" made it possible for him to complete his education at Indiana University in Bloomington/Ind./USA as a member of the violin class of the legendary Josef Gingold. 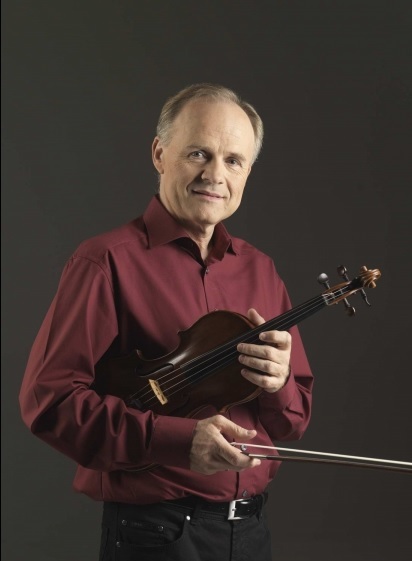 From 1982 to 1995 Zack held the position of 1stConcertmaster of the Stuttgart Chamber Orchestra. As a soloist, Herwig Zack has performed and recorded under the baton of conductors such as Karl Münchinger, Ferdinand Leitner, Uri Segal, Yutaka Sado, Paul Nadler and Gilbert Varga; his musical partners have included Henryk Szeryng, Jean-Pierre Rampal, Trevor Pinnock, Grigori Zhislin, Peter Nagy, Bernd Glemser and Ingo Goritzki, among many other renowned artists. He has toured Europe, the USA, Australia, Japan, China, South America and Africa. He has extensively recorded for labels such as AVIE Records, Decca, Bayer Records, Podium, Mediaphon, Amadeo and A.M. Classic International. The international press acknowledges the “exceptional virtuosity” (El Mercurio, Santiago de Chile), the “sheer perfection” (South China Morning Post, Hongkong), the “elegance and clarity” (The New York Times) of his playing and praises “the unique beauty and clarity of his sound” (Ongaku No Tomo, Tokyo, Japan), calling his performance “a demonstration of artistic superiority and maturity” (Frankfurter Allgemeine, Deutschland). Since 1980, when he was appointed associate assistant instructor at Indiana University in Bloominton, Indiana, USA, Zack has enthusiastically dedicated himself to teaching as well and has held Master Classes in Europe, Japan, China, the USA and Chile. Since 1994 he has been Professor for Violin and Chamber Music at the "Hochschule für Musik" in Würzburg. He has been appointed Guest Professor at the Tokyo University of the Arts - Tokyo Geijutsu Daigaku starting April 2015. Many of his students, among them Tobias Feldmann, Holger Grohs, Yasuka Morizono, Anne Luisa Kramb and Seiji Okamoto, have won top prizes at prestigious international competitions; others have become members of well-known German orchestras, some in leading positions.